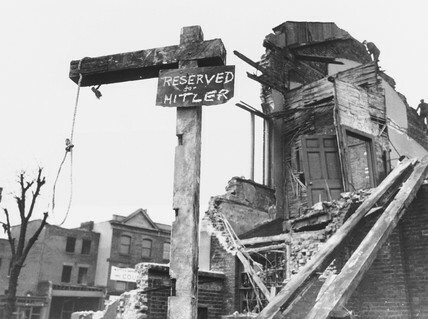 Gallows with the slogan 'Reserved For Hitler' painted on them. 'Hitler thought he could terrorise Londoners with his blitz on the City, but Londoners thought otherwise. These gallows have been prepared for the Arch Ememy of Mankind'.